We are proud to announce that the Lubrita International more and more known brand of Lubrita branded oils and greases in the global lubricants market. In order to provide high-quality Lubrita products we improve our knowledge in energy and lubricating fields every day. We love our brand and this is confirmed by a world-class Lubrita brand advertising. LNG magazine include news for the lubricants, base oil, additives and lube packaging industries in Europe, the Middle East and Africa. It reports on marketing and technology trends, raw material supplies, regulations and OEM specifications, and the challenges faced by end users of lubes and greases and the solutions that meet their needs. 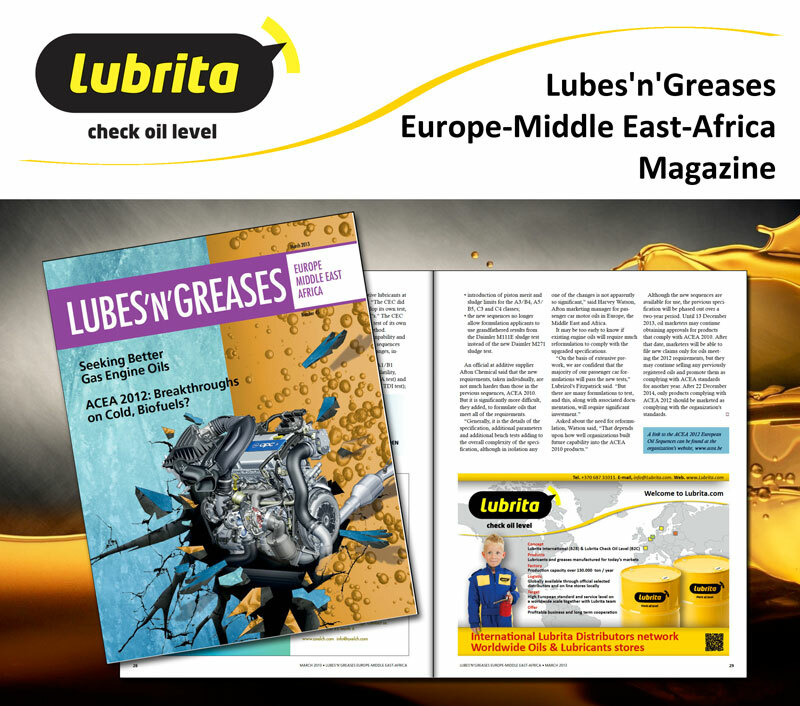 LNG EMEA has separate content from its sister magazine, Lubes'n'Greases, but offers the same reliable, unbiased and vital reporting each month. The digital edition, an exact replica of the print magazine, is free to qualifiedenergy industry subscribers worldwide. BIG Thank You to LNG Publications and responsible people for a great Lubrita International support!